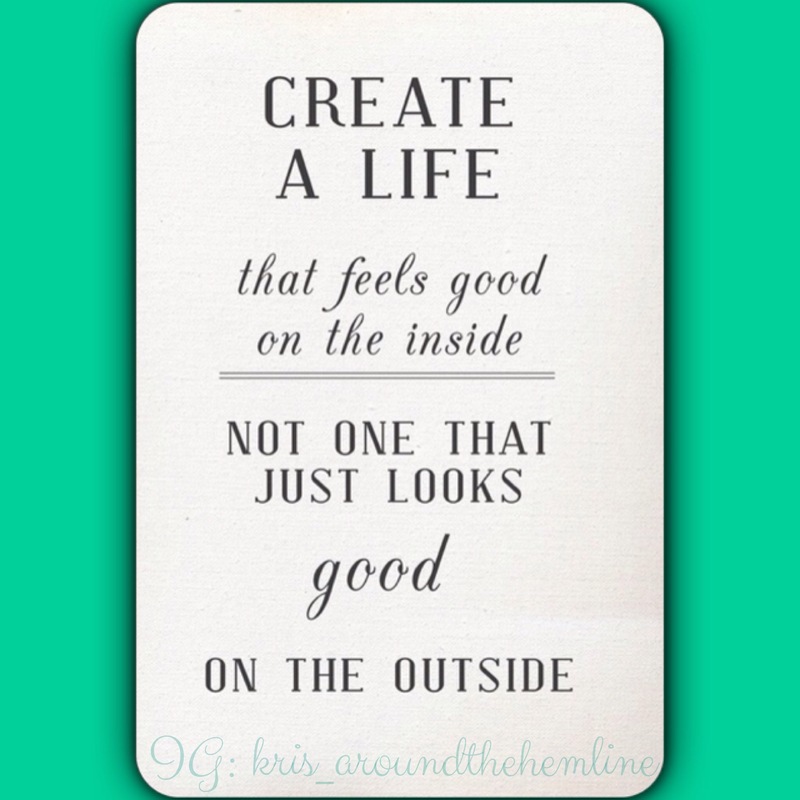 Create a life that feels good on the inside. Not one that just looks good on the outside. Thanks to Pinterest, Instagram, and hashtags, it’s made it quite effortless to find inspiration to express feelings, emotions, moods, etc. When you have the ‘passion for fashion’ it’s becomes easy to get wrapped in the physical and visual aesthetics of outer appearances. You would think by my Instragram #OOTD (Outfits of the Day) photos, that’s all I do! Of course, I simply wouldn’t post every breathing moment on social media but I wanted to get back to why I started this blog – to write and hopefully bring positivity to those that take time to read my words. Hence, today’s quote! With make-up, clothes, shoes, hair extensions, nails, an iPhone and some apps, we can portray whoever we want to be. Sometimes we spend so much time focusing on our outer selves that we don’t spend enough time working on our inner selves. Are the decisions we make daily in line with what we truly want for OURSELVES. Not to please others, but for yourself? Are the actions you partake in, in line with the morals you believe in? Is the inside beauty just as beautiful if not more beautiful than the superficial outside beauty?